In my retirement ... in February on a glorious summer day we cruised the mighty Murray River on the riverboat Proud Mary. 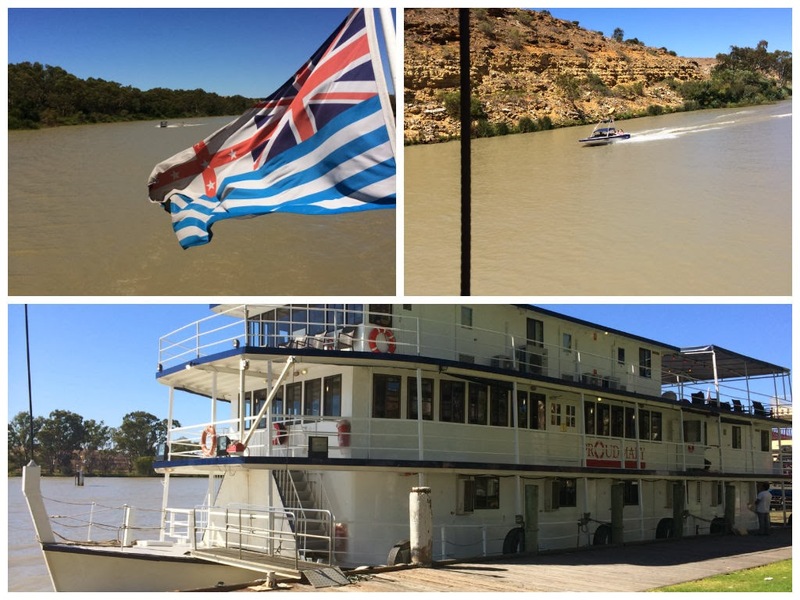 Looked after by the friendliest crew you could imagine, the two hour cruise out of the historic river town of Mannum included a buffet lunch and was, we thought, great value at $60.00 per person. I recommend it! In my retirement ... in February we have farewelled from our city the cyclists and visitors who participated in the Santos Tour Down Under. 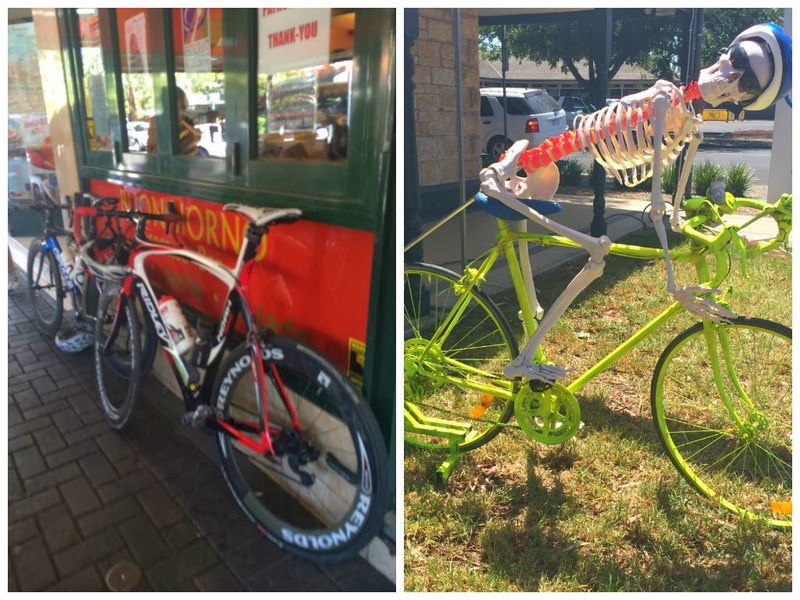 Every second Adelaidian, it seems, owns a cycle and lycra! In my retirement ... in February I've painted my toenails a bright summery colour - just for fun! In my retirement ... in February I'm beating the heat with chilled lemon and thyme flavoured water, and the odd Watermelon and Vodka Crush with Pomegranate cocktail courtesy of my good friend Liz over at Bizzy Lizzy's Good Things! Sorry - no photo of these! I drank them all! 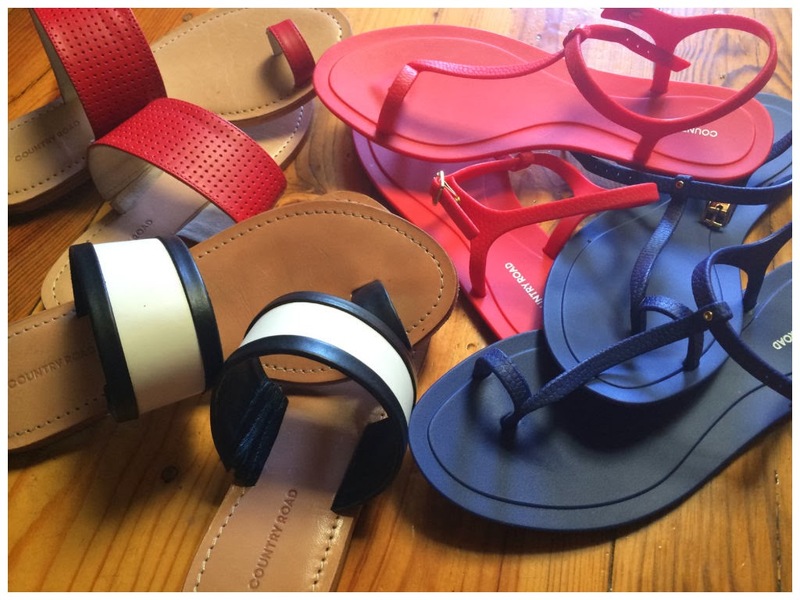 In my retirement ... in February I bought shoes - Country Road summer sandals to be exact! Four pairs! They were on sale - and had an extra 25% off the sale price - so they were a real bargain! Girls, I know you will understand! In my retirement ... in February we've retreated to the beach most hot days! 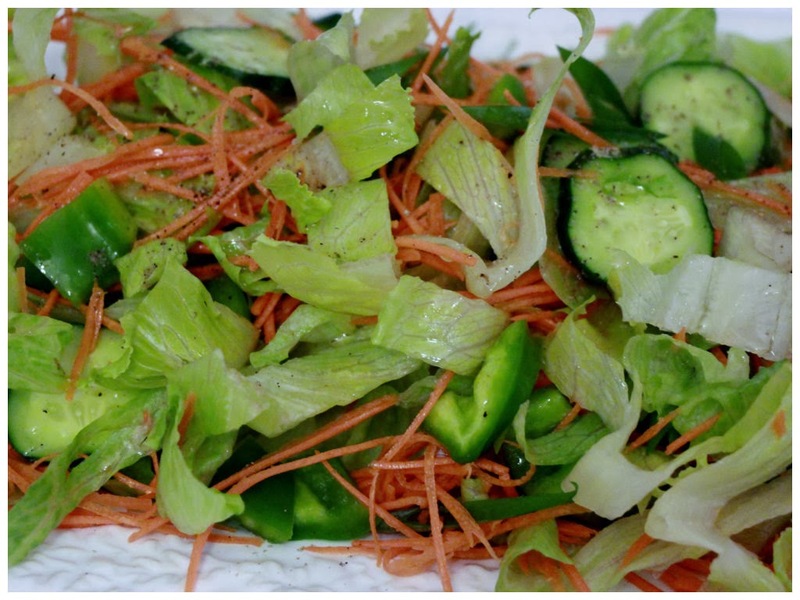 In my retirement ... in February after the indulgences of the Christmas, New Year, and the summer holiday season we are losing the extra kilos by eating healthy salads out of the garden! In my retirement ... in February I can't believe that I am really doing this - but having turned 60 I'm applying for a Seniors Card! I am assured that this will allow me to access a wide range of discounted goods and services - including travel and leisure, accomodation and hospitality as well as entertainment. Can't wait!!! Application forms are waiting for you at your local Post Office! What are you up to? Do let me know! I know how you feel. A dear friend sent me an application in the mail & it has been very useful. Hi Ann! I'm hoping to get good value out of my card! I worked for a long time to qualify for it!!! Thanks for your kind comments, Liz! Enjoy your holiday at Noosa! 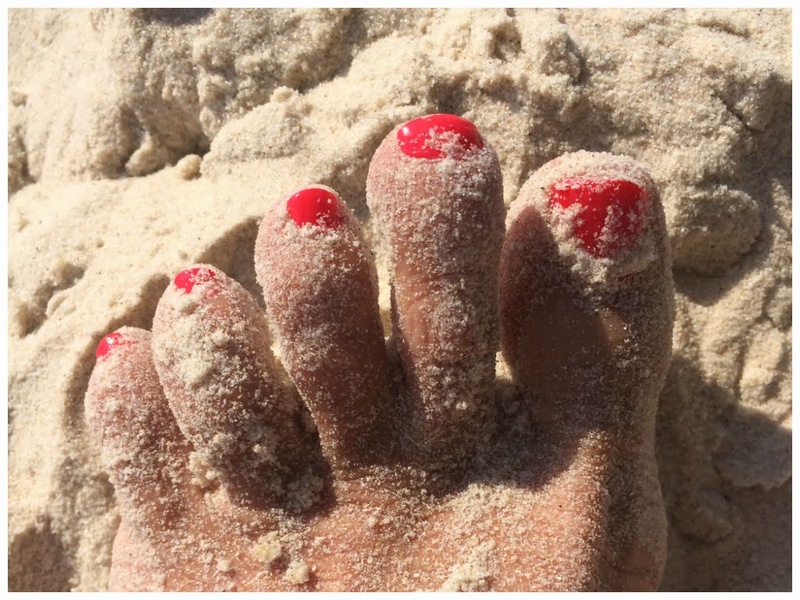 There's nothing like like wiggling brightly painted toes in glorious white sand! Likewise I feel so fortunate that our paths have crossed online - I greatly value our friendship! Lovely to hear of your summer adventures. We have a Seniors bus pass system and can go anywhere after 9:30 am for free! It's great. Hi Pat! 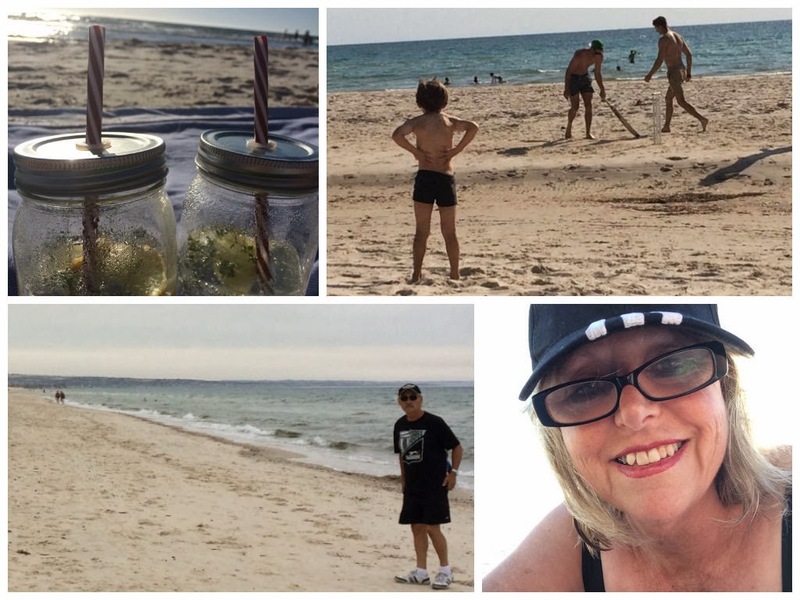 I really do love summer - getting sand between my toes, salt in my hair and mucking about in boats! 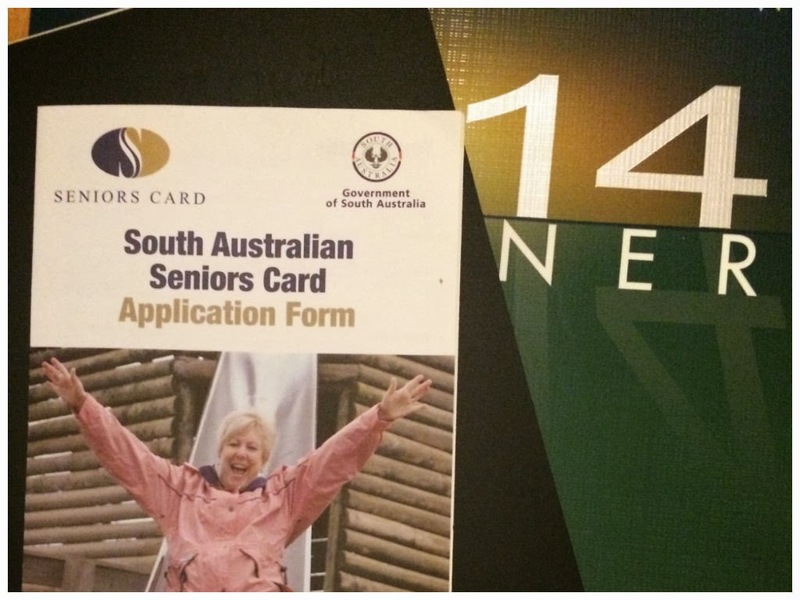 I am keen to see what benefits these Seniors Cards bring - whatever they are I am sure they will be useful in some way! Thanks for dropping by!